The Chief of the UN High Commissioner for Refugees (UNHCR), Filippo Grandi expressed during a meeting with German Chancellor, Angela Merkel his concern over the humanitarian situation in Libya. The two sides emphasized the need to develop political solutions to the crisis in Libya and to combat the causes of Refugeehood. He also warned that escalation of the conflict in Libya could lead to increased displacement, stressing the need for external pressure on the parties in Libya to reach a political solution. Tunisian National Defence Minister, Abdul Karim Zubaidi confirmed that they have monitored two rubber boats, carrying 11 armed men of European nationalities, trying to cross the Tunisian maritime border from Libya, last Wednesday, disclosing that the men were holding diplomatic passports. "That the Tunisian Navy tracked the two boats and handed over the men to the relevant authorities, after taking away their weapons," Zubaidi said in a press statement Tuesday. 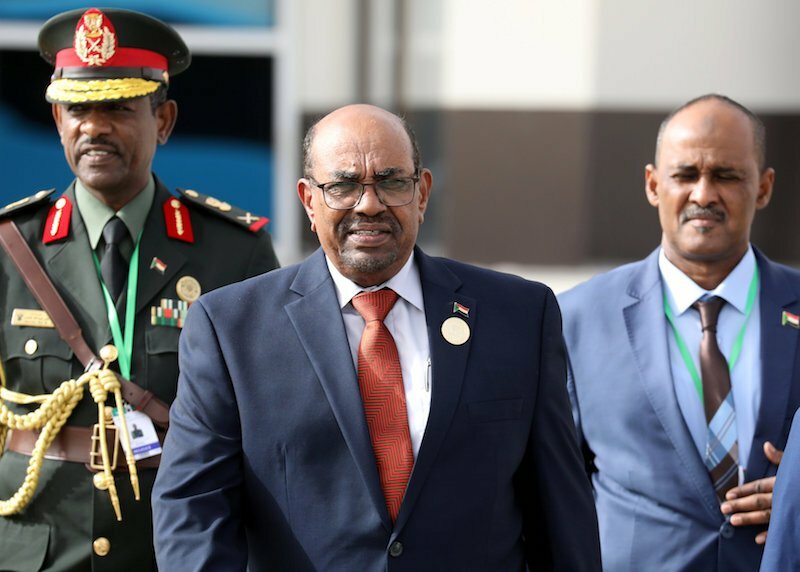 KHARTOUM: Ousted Sudanese president Omar al-Bashir has been transferred to a Khartoum prison following his toppling by the army last week, a source from his family told AFP on Wednesday. “Last night, Bashir was transferred to Kober prison in Khartoum,” the source said without revealing his name for security reasons. Bashir was ousted by the army last Thursday after four months of protests against his three decades of iron-fisted rule. Witnesses said there was a heavy deployment of soldiers and members of the paramilitary Rapid Support Force outside the prison in north Khartoum. “There are troops in vehicles mounted with machine-guns near the prison,” a witness told AFP. A Libyan man walks near a house damaged by an overnight shelling in Abu Salim district in Tripoli on Wednesday. Ahmed Jadallah/ReutersRocket fire on the Libyan capital, which the UN-recognised unity government blamed on military strongman Khalifa Haftar, killed three people late on Tuesday as the Security Council haggled over a ceasefire. The LNA blamed the rocket fire on the "terrorist militias" whose grip on the capital it says it is fighting to end. 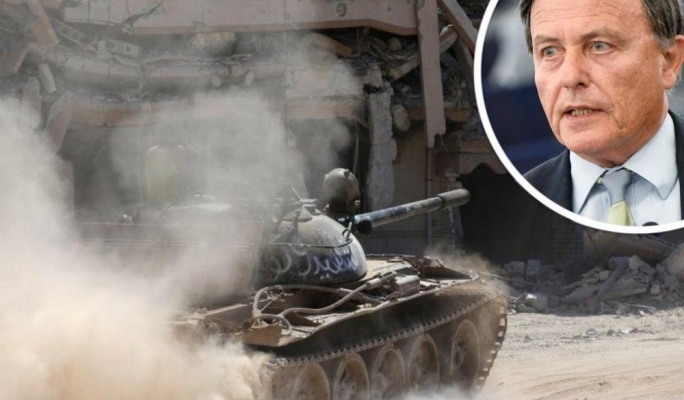 The bombardment came as diplomats at the UN Security Council began negotiations on a British-drafted resolution that would demand an immediate ceasefire in Libya. The proposed text seen by AFP warns that the offensive by Haftar's LNA "threatens the stability of Libya and prospects for a United Nations-facilitated political dialogue and a comprehensive political solution to the crisis." 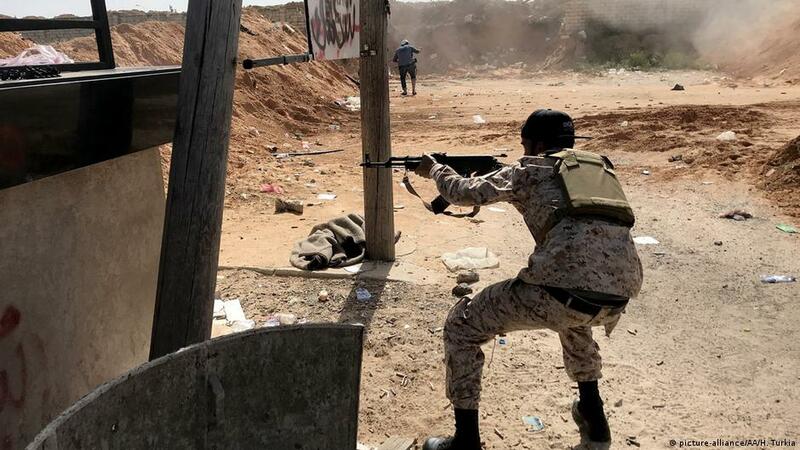 The United Nations Office for the Coordination of Humanitarian Affairs UN OCHA documented the killing of 48 people, including 13 civilians, during the ongoing clashes south of Tripoli. "Around 18,000 people have fled their homes as a result of the current hostilities in and around Tripoli, the UN OCHA office reported," pointing out that more than 2500 of them have fled their areas yesterday. The number of civilian casualties is expected to increase as well as the phenomenon of displacement, due to continued heavy air strikes and artillery, since the beginning of the current hostilities. The Algerian Defence Ministry stated that the Algerian army conducted on Tuesday ammunition exercises in the area of In Amenas near the Libyan border, under the supervision of the Chief of Staff, Lieutenant General Ahmed Kayed. The exercise was named "The Bright Star 2019" and included ground and air forces, as well as reconnaissance aircraft, the Algerian Defence Ministry explained, noting the operations took place in circumstances close to the reality of real battles. The exercises were declared by the Algerian Ministry of Defence about two weeks ago, after the outbreak of armed clashes in western Libya, between the Libyan army forces and the militias of warlord Khalifa Haftar. 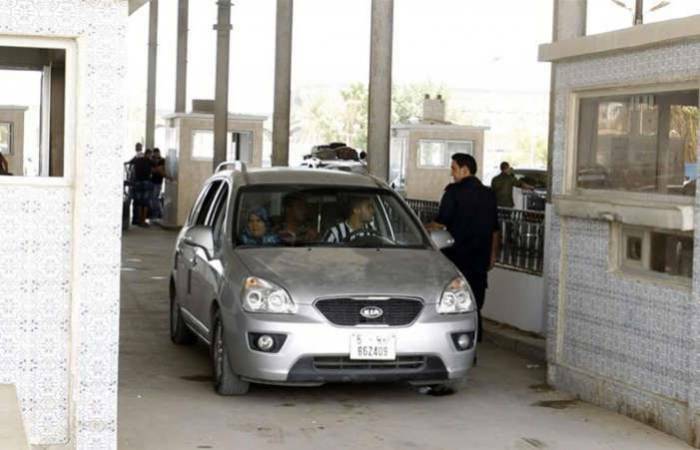 Tunisian authorities have stopped more than 20 armed European diplomats attempting to cross into the country from neighbouring Libya, local officials said on Tuesday. According to the local Mosaique FM radio station, the group was denied entry into Tunisia after failing to disclose the entirety of its arms inventory. The French embassy in Tunis said the individuals were members of a security detail attached to the French diplomatic mission in Libya which is based in the Tunisian capital. “Given the current situation in Libya, one of the trips which the French embassy undertakes regularly between Tunis and Tripoli, was made by road,” the embassy said, without mentioning any arms seized. Separately, Zubaidi said 11 people of different European nationalities – also diplomats – had recently tried to enter Tunisian waters from Libya in two rubber life boats. The Foreign Minister of Qatar, Mohammed Bin Abdulrahman called for an effective arms embargo on the militias of warlord Khalifa Haftar. Bin Abdulrahman told Italian newspaper La Repubblica that the Libyan conflict could be resolved by imposing an arms embargo on Haftar's forces and to stop states backing him by arms from continuing to do so. He also stressed the necessity of the withdrawal of Haftar's militias from the areas they have seized recently, according to the Italian newspaper. Arkansas• GDP: $114.0 billion• Country w/ similar GDP: Morocco ($119.3 billion)• Ark. Delaware• GDP: $63.9 billion• Country w/ similar GDP: Croatia ($63.2 billion)• Del. Indiana• GDP: $321.1 billion• Country w/ similar GDP: Singapore ($310.0 billion)• Ind. Maryland's $363.0 billion economy is only slightly smaller than Malaysia's $364.6 billion economy. (Photo: niyyie / Flickr)Wyoming• GDP: $38.7 billion• Country w/ similar GDP: Cote d'Ivoire ($39.5 billion)• Wyo. Brent crude futures rose 54 cents, or 0.8 percent, to settle at $71.72 a barrel. U.S. West Texas Intermediate (WTI) crude futures gained 65 cents, or 1 percent, to settle at $64.05 a barrel. Iran’s crude oil exports have dropped in April to their lowest daily level this year, tanker data showed and industry sources said. What can be expected from the oil market today? “Crude oil futures edged up as market sentiments were buoyed by a surprise drawdown in U.S. crude oil inventories and tighter market fundamentals in the current term,” said Benjamin Lu, commodities analyst at Singapore-based brokerage Phillip Futures. A Filipino man was reportedly hurt during “multiple rocket attacks” amid fighting in the Libyan capital of Tripoli last night (Libya time). Philippine Embassy Charge d’Affaires Elmer Cato said in a tweet today that a Filipino man was injured following the Libyan National Army’s (LNA) advances towards Tripoli. We hope our kababayan in Tripoli would now realize the danger we have been warning them and would ask us to bring them home. “The lone Filipino injured in the incident lives across this house hit by one of several rockets that rained on Tripoli before midnight,” it said on its Facebook page, adding a photo of a destroyed building. On Monday, however, Cato said in a tweet that only 19 out of 1,000 Filipinos in Tripoli wanted to go back to the Philippines. OTTAWA — When voters in Prince Edward Island go to the polls next week, they'll be making their choice without any input from Prime Minister Justin Trudeau. OTTAWA — When voters in Prince Edward Island go to the polls next week, they'll be making their choice without any input from Prime Minister Justin Trudeau. In the past, Trudeau was always a popular visitor on the island, both as Liberal leader and as prime minister. This rise in anti-Trudeau sentiment is not only manifesting in P.E.I., but also across Atlantic Canada, said Donald Savoie, Canada research chair in public administration at the University of Moncton. "It's a feeling in Atlantic Canada that the region has been taken for granted." Europe should not try to establish a regime in Libya that “it likes” but support forces within the country willing to end the instability, Alfred Sant said. But the Labour MEP insisted Europe must ensure that Libya does not end up as “a foyer for terrorism”. Addressing the European Parliament plenary, Sant urged Europeans to demonstrate that their major interest in Libya was the welfare of the Libyan people not oil. “For Europe, what is essential should be that Libya does not end up as a foyer for terrorism… we should support all efforts undertaken in good faith to allow all forces in Libya that represent genuine interests to have voice and reach,” Sant said. Fighting in Libya has escalated over the past two weeks as forces under the command of General Khalifa Haftar moved on Tripoli. In the Libyan capital of Tripoli, soldiers and students were besieging the British Embassy, with 24 diplomats inside, including the ambassador, Mr. Oliver Miles. The police have refused to give the Press even a guess at how many people are inside the People’s Bureau building. There was no information on charges which might be brought against them, or whether they had come from the People’s Bureau in London. The Libyan People’s Bureau in London was established in 1979. Five “students” from the People’s Bureau in London, believed to have been connected with the explosives, were later expelled from Britain.